What will 2012 hold for us? What new technologies will enable better consumer products and experiences? Let's breakdown what areas we can expect to evolve in the coming year or so. Intelligent interfaces - More and more consumer products will offer a touch displays consistent with what you experience with a smartphone or tablet. Imagine how your kitchen blender, TV remote or light switches will behave with these more interactive and intelligent interfaces. Devices that will remember your preferences and adapt to your needs at a single touch. Expect computers that traditionally relied on a mouse will begin to evolve features leveraging improved touch interfaces like those proposed in the new Windows 8 to become more the norm. 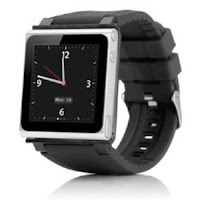 It is a natural and intuitive means of interfacing with your future computing device. Now I am not saying the computer will look like a PC today with an upright screen but instead imaging screens that lean back or sit upon your desk but maybe something more like Dillinger's desk in the 1982 TRON movie? Gesture solutions where your body, hands or even your eyes will be able to control or interact with a product will make their way into your lives in the near future. The Microsoft Kinect controller that allows people to control the game with body movement is just the first step in this evolution. Enhanced clarity displays - Expect more devices to be enhanced with greater clarity displays. You will get higher resolution phones, tablets and televisions displaying life-like realism or surrealism just in time for James Cameron to conjure up the next sci-fi or fantasy blockbuster. Expect to hear more about 3D capabilities, OLED display technologies and 4K resolutions. Smarter devices - With smaller, more efficient computing platforms we should see more devices demonstrating greater intelligence and automation. Such as platforms that enable applications and data/media streaming like AppleTV, Roku, GoogleTV should become more common. Connected devices - Expect mobile devices to interact more with each other. There is no reason that information from one device cannot easily be shared securely with another device. Apple's Airplay is a great example of this type of convergence. 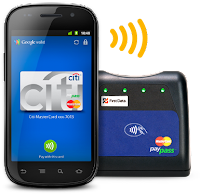 Another area of excitement is around Near Field Communications (NFC) products and the ability to pay for your purchases with your smart-phone. 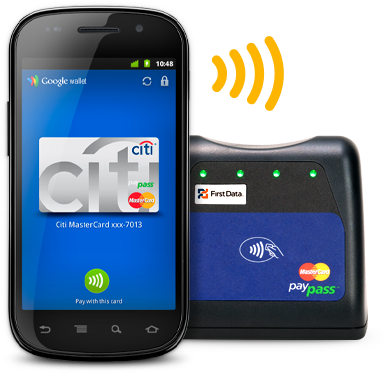 Google Wallet is an early attempt in some recent Android Phones. And why isn't your car a connected device that syncs with your home systems to have the latest music and apps? Second Screens - A slew of interactive apps are on the way that allow you to dynamically engage in real-time with the content found on your TV. Nielsen's reports that 70% of tablet and 68% of smartphone owners use their handheld while watching television. These "second screens" are being aggressively pursued by media producers and distributors with a new breed of app. 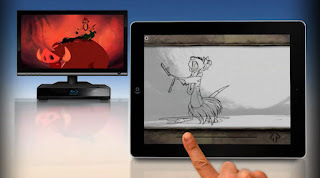 Check out solutions found on Disney movies like the newly released "The Lion King Bluray-edition, Yahoo's IntoNow and Showtime Social. Disney's Second Screen features apps available for your tablet or PC on the latest Bambi, The Lion King, Tron: Legacy and the Pirates of the Caribbean - On Stranger Tides Bluray movies. The experience syncs with the movie and offers interactive information while you watch the movie. Yahoo's IntoNow is available for your iOS or Android device and can sync with nearly every show and allow you to interact and go social with friends online while you watch the show. You can track information related to the show, cast, news and with sporting events you get all the latest stats. Showtime Social allows people to track Twitter and Facebook feeds, get viewer thoughts while the show is airing. Shazam the music identification app is branching into TV with the ability to sync up with what your viewing on center shows or commercials for original content like additional video footage or entry into a contest. Interactive entertainment offerings will be sure to take advantage of this second-screen trend. Just look at the new Nintendo WiiU gaming console with its new tablet-like controller. Siri starts a revolution - It will start as a whimper but we are at the dawn of interacting with devices by talking to them. If you have experienced Siri on the new Apple iPhone 4s, it is impressive how the device can take on tasks and execute them with great accuracy. Imagine how this technology could be applied within any smart product (TV's, appliances, home automation, etc). Check out Apple's future vision they published in 1988...it is not far off now. The much rumored Apple televisions will most like evolve to feature such an interface over the coming years. Microsoft is already dabbling in voice commands as part of their Xbox 360 Kinect gaming console. The house that Bill built is really trying to turn the Xbox into the media hub of your home. And you can also expect Google Android-based devices to gain Siri-type functionality this year as they make sure their products are competitive with Apple's offering. Wearable tech - I'm sure you've seen those watchbands that allow you to wear your iPod Nano on your wrist? Technology leveraging a sophisticated operating system like Android can be packaged in a wide range of devices. Expect smart watches, eyewear, etc. in the coming years. Lot's of these products will probably promote fitness and a healthy, active lifestyle. There is a stack of great products I plan to use in the coming weeks/months that I will write-up in the near future. These are products that I already plan to get or just received that deserve a better look at. They are important for a wide range of reasons but look to be strong contenders for the "hot new products" category. 1) Canon S100 - I've already spent some time with this camera and its predecessors but I am sure the holidays will put this camera through the test. I can already give this camera a worthy successor thumbs-up as my favorite pocket camera. 2) Asus Transformer Prime - The first quad-core Android tablet that features a snap-on keyboard. 3) Sony Playstation Vita - The hot new handheld gaming console from Sony. Does it have the muscle to stay relavent throughout the year versus the onslaught of new smart-devices? 4) A slew of Airplay devices - Apple's wireless audio and video streaming standard to make it easy to take and share your content wherever compatible devices are. I will be attending the Consumer Electronics Show the second week of January and will be sure to provide an update on what the hot trends of this year's show included. Also be sure to comment below and share your thoughts or experiences with any of these devices in general. You can also follow me on Twitter or Facebook.